A couple of Dawson City entrepreneurs launched Aurum Skincare, made from birch trees in their backyard. Joanne Sherrard's fledgling business is literally homegrown — the raw material for her skincare line grows right outside her door in Dawson City, Yukon. "We just we tap the birch trees actually in my backyard, and we then use that birch water to create a birch bio-ferment," Sherrard explained. In November, she and her business partner Elise McCormick launched Aurum Skincare online, selling "calming" birch serum and birch masks — topical skincare products pitched as "soothing nourishment for dehydrated and reactive skin." "Birch water has been used for a long time for people to drink, and has great hydrating properties in it," Sherrard said. "We wanted to emphasize that hydrating capacity." In 2017, Sherrard and McCormick pitched their idea as a candidate for the Yukon Innovation Prize — an annual award geared towards a certain area of innovation. The theme that year was health and wellness. "We thought, 'Well this was kind of meant to be, let's try and see what happens,'" Sherrard recalled. "We felt that it was a timely opportunity." They were right — their idea won the $60,000 prize, and Sherrard said the money allowed them to get their business off the ground much faster than they otherwise would have. "It allowed us to test for shelf stability, it allowed us to bring on board a design team to help us with the packaging, to allow us to bring into production something that we wanted to share with other Yukoners and Canadians," Sherrard said. It didn't take long for their first batch of products to sell out. According to their website, all products are on backorder. "We sold out in about a month, which we really hadn't anticipated but was very exciting." Sherrard said they're happy keeping the business small for now, but that could change. 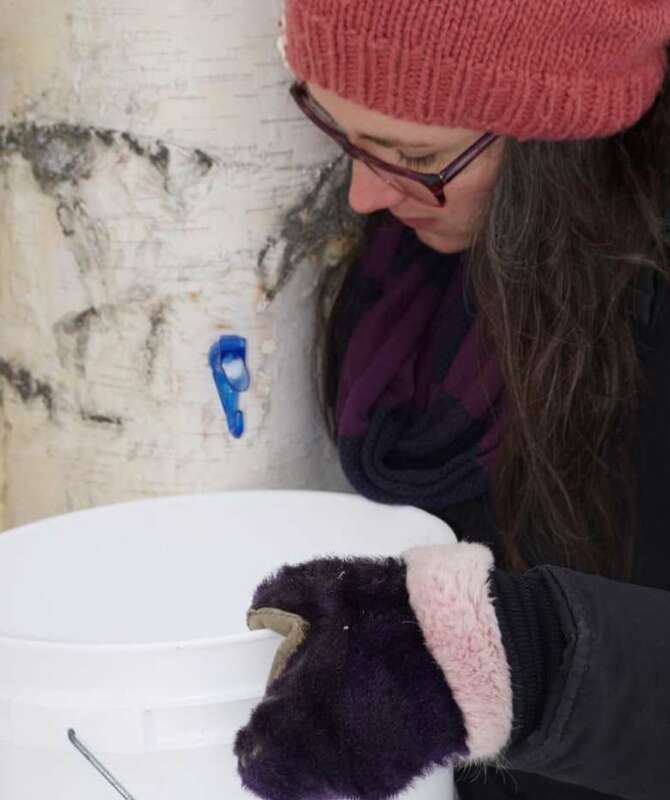 "Depending on how many trees that you tap [for birch water], you could really expand the business — depending on what it was that we were wanting to do," she said. "I do feel that there is opportunity for growth."